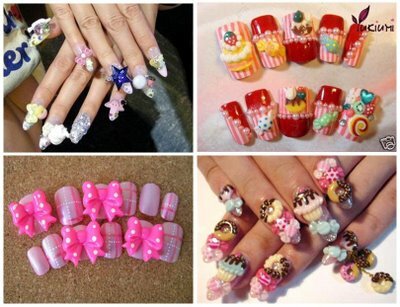 So yesterday Silje wrote a post about nail polish and she asked if I could write about the phenomena called 3D nails! 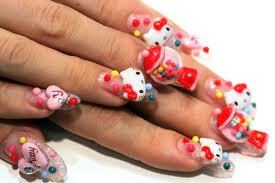 This must be one of the most awesome nail decoration I know of. 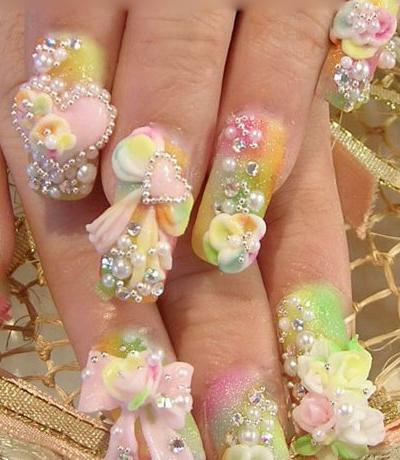 3D nails are a three dimensional nail art design, mostly created on acrylic, or fake nails, which is then applied over the persons real nails. The design is created by shaping colored acrylic and building the design that is wanted. The most common creation is flowers, where the petals and leaves stick up from the surface creating a dramatic look. 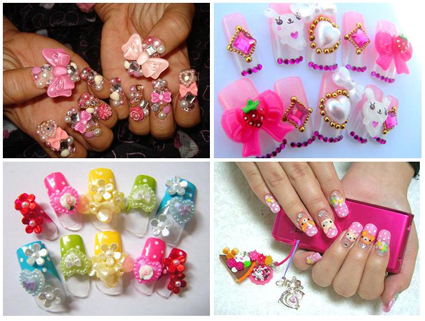 The style is worn by many because they find it different and attractive, but it is also often used in mainly weddings and special occasions They are not very functionary in every line of work, and not many can handle having this type of nails everyday. 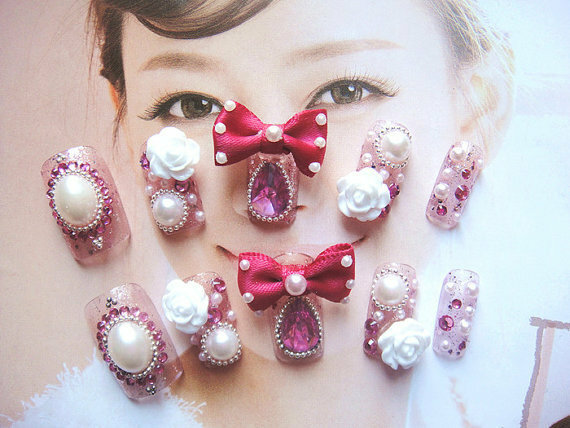 Pieces can be applied on the natural nail, but then it has to be at least on layer of nail polish first, and people find it easier to work with the designs on fake nails because it gives a lot more space and they can last longer that way, it will harm the natural nail less as well. Well, hope you enjoyed my post. I love all of the designs, they are absolutely stunning!